Zelia 2-in-1 stroller is best in class comfort with seat that transforms into bassinet. Lightweight, compact and incredibly comfortable with one hand fold. Laika stroller is all about convenience. Maxi-Cosi Strollers: All you need to know. The Maxi-Cosi stroller range offers best-in-class comfort for baby and intuitive solutions for parents. Our range has it all. From comfort strollers, to lightweight strollers, to duo strollers for twins and babies close in age. All Maxi-Cosi strollers offer complete travel system compatibility with our range of baby capsules for smooth transitions from the car to the road. Parents can also get the entire Maxi-Cosi look by matching their stroller with a range of carrycots and nappy bags, all in our new nomad Fashion colour ways. Maxi-Cosi focuses on developing innovative mobility solutions that offer the best comfort and protection for babies and the greatest ease-of-use for parents giving first-time pregnant parents the reassurance they need. All Maxi-Cosi strollers offer 3-in-1 solutions with matching carrycots for transporting newborns in the preferred lie-flat position and baby capsules to help you during those first couple of months as a new parent. New stylish accessories are available to further enhance the look and comfort of the strollers. In 2019 Maxi-Cosi has a completely renewed range of strollers to suit all consumers’ lifestyles - from city living to exploring the great outdoors. Within each lifestyle Maxi-Cosi offers stollers covering specific needs, from super compact strollers to double strollers. Some of our comfort features are, ergonomic seats and extra padded mattresses, smart folding systems, clever memory buttons with one-hand/2-click release and matching accessories. 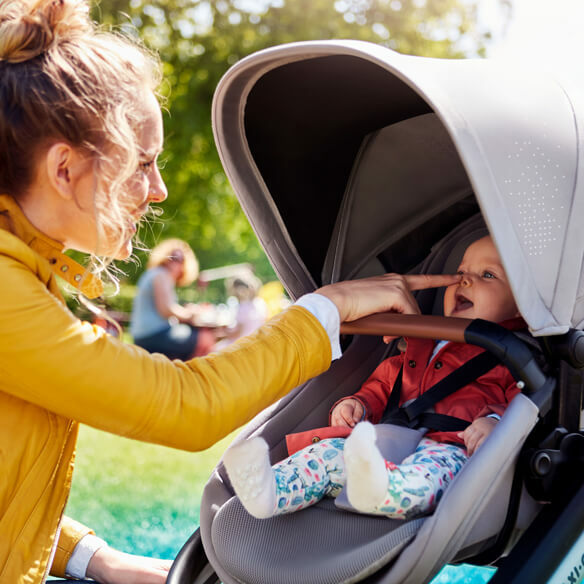 Maxi-Cosi is the global leader in developing smart and stylish mobility solutions for parents, with incredible comfort and safety for growing babies and toddlers. Maxi-Cosi’s intuitive and innovative products help carry families happily into the future ahead. Maxi-Cosi focuses on developing innovative mobility solutions that offer the best comfort and protection for babies and the greatest ease-of-use for parents giving first-time pregnant parents the reassurance they need.